Professory ZHOU Dequn is a faculty member of the Kunming Institute of Technology and is a widely published expert on ecology, conservation biology, and mycology. He previously served as a project manager for The Nature Conservancy in Lijiang, Yunnan and now guest lectures at Virginia Tech and the IES Abroad Kunming Center. Why Can’t We Protect China’s Cleanest Freshwater Lake? Fuxian Lake, located in Yunnan Province’s Yuxi municipality sixty kilometers southeast of Kunming, sits at the headwaters of the Pearl River, China’s third longest river. It is the largest alpine freshwater lake in China, and its water storage capacity accounts for nearly 10% of all freshwater lakes in China. Fuxian is twelve times larger than the water volume of its western neighbor, Kunming’s Dianchi Lake. Most importantly, the lake’s water quality is rated at Class I meaning it is directly drinkable. 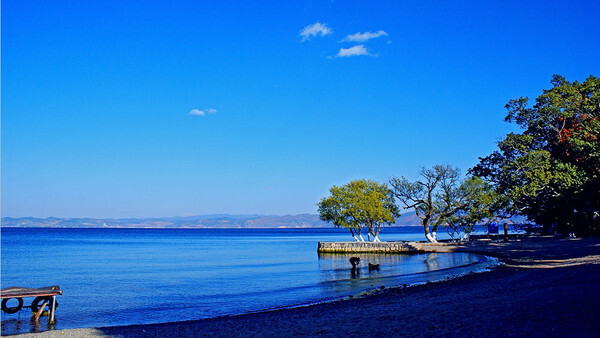 In order to protect Fuxian Lake’s water quality and local ecosystem, the Yunnan Provincial Government issued a set of “Protection Regulations on Fuxian Lake of Yunnan Province” on September 1, 2007. It declares the entire lake, its watershed, and adjacent lakeside area extending 100m range from the shore are within the first protection zone, a red line under strict protection and monitoring. In accordance with the local regulations, washing clothes and bathing in the lake are strictly prohibited. Even motor-driven boats have been replaced with manpower-driven pedal ones. Furthermore, conditions on the use of cultivated land, shoals and vegetation around the lake are also defined by the regulations. Since 2005, August 26th of every year has been designated by Yuxi City as the Fuxian Lake Protection Action Day. All of these measures seem to favor the lake’s protection and its aquatic ecosystem. But in practice, is it really true? A June 7 China Central Television (CCTV) report disclosed the unregulated construction of eleven real estate projects around the lake that threaten to destroy its aquatic ecosystem and degrade its water quality. The numerous luxury lake-view villas, five stars hotels such as Hilton Hotel, and golf courses were built or under construction within Fuxian Lake protection area. For sales promotion, these ‘Big Mac’ projects were crowned as resorts, sports parks, among other flashy names. A further embarrassing fact is that some projects broke ground before their EIAs were processed. The Kowloon Bay, Kowloon Sheng Jing Project is located in the upper reaches of lake’s western banks. In its promotional materials, the developer dared to say “the project site offers the nearest resort-style apartments to Fuxian Lake so far. It is only 50m away from the shoreline.” Most of these European style villas come with a lake view. The project includes luxury hotels, lake view hotel apartments and villas. In this decision, the projects mentioned above were highlighted one by one. The Yuxi municipal government vowed to “create conditions to facilitate the projects’ construction as soon as possible”. Around Fuxian Lake, many developers promote new commercial buildings and hotels connecting project names to the beauty and quality of the lake. For instance, “Holy Water Lake Phase II” advocated that they built a “wetland park” in Fuxian Lake, exclusively open to the residence owners and the hotel guests. Locals from surrounding villages told a CCTV reporter that the residential developments were discharging excessive levels of black, smelly sewage directly into the lake! The local villagers angrily said that protecting the Fuxian Lake was merely spoken of on the lips of leaders and the regulations were useless. The CCTV report further pointed out that although the country already banned golf course construction in national level water resource protection zones, golf courses were being constructed around the lake. It also mentioned that most real estate projects were initiated via oral permission from the local governmental leaders without environmental impact assessment. Which is really more powerful and effective, the political agendas of leaders OR the rule of law when a collision between environmental conservation and economic development occurs? Why do we often repeat these inane practices, namely sacrificing environmental quality for economic development? Do these mistakes really pay off? Why do not we try best to maintain our blue skies, clean water and a hygienic environment for ourselves and also for our next generations? Do we fear our next generations will rebuke us if we are too selfish? Is it fair to dirty the environment dirty leave the bill for our next generations? Despite the CCTV report which by the nature of its broadcast, passed muster of national censors and by the eyes of national leaders, why do local environmental protection agencies continue to maintain silence about the Fuxian Lake case? After the CCTV report, Yuxi government issued a moratorium on the processing of new real estate development projects around Fuxian lake. 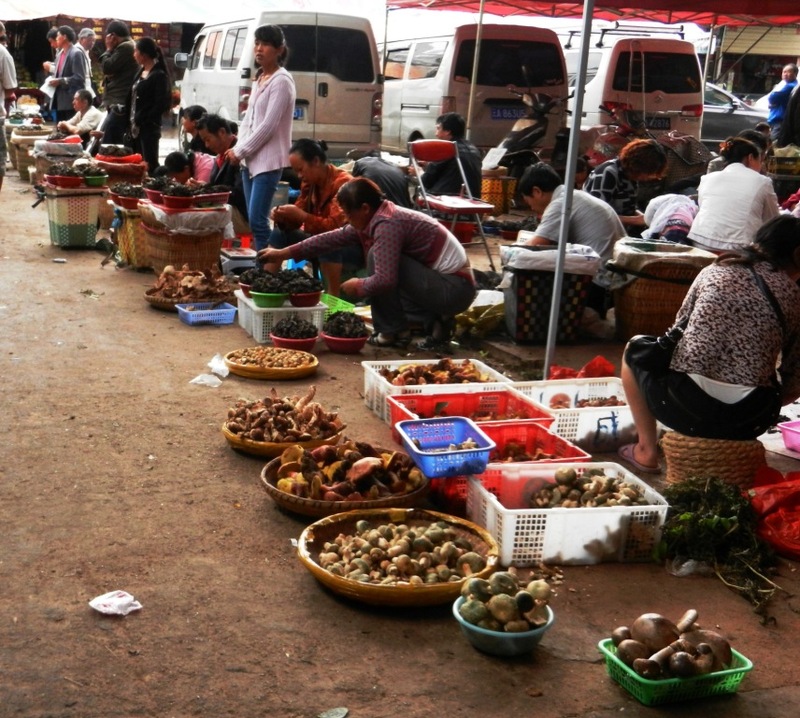 Yunnan’s Wild Mushroom Season is Here! As a result of decades of unchecked development and poor decision making, China’s inland rivers are suffering a crisis and are in the midst of severe losses of biodiversity. Currently there is a serious lack of conservation measures and a shortage of funding to protect endangered aquatic species. According to an expert from Changjiang Fishery Resources Managing Committee, there used to be more than 1,100 species in the Yangtze River, including more than 370 fish species, over 220 zoobenthos (organisms which live on the riverbed), and hundreds of aquatic plants. The rapid development of economic zones in the Yangtze River basin has caused a rapid decline in aquatic biological resources. Now many species like the Chinese river dolphin and the Chinese paddlefish face extinction. The famous Reeves’ Shad, once important to local fisheries, has not been seen for many years. “Living fossils” such as the Chinese sturgeon have also rapidly decreased in numbers and at an even faster pace.